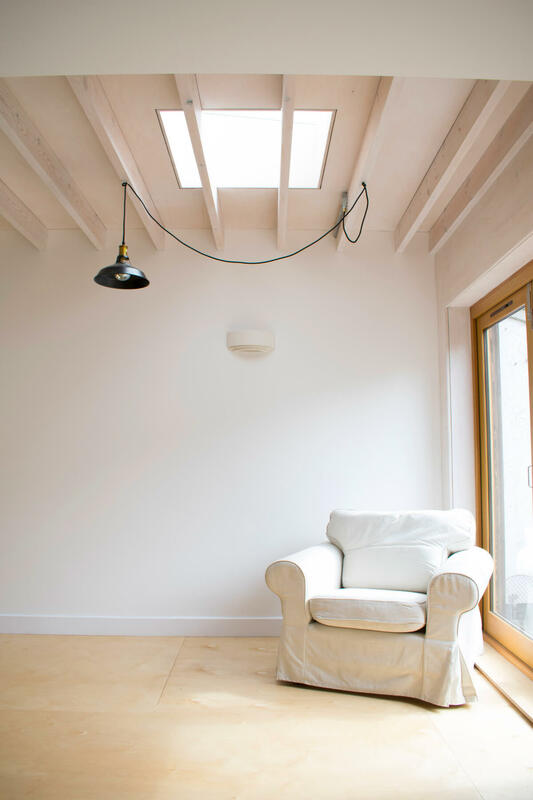 A simple rear infill extension to the ground floor of a Victorian terrace in the Bedminster conservation area. 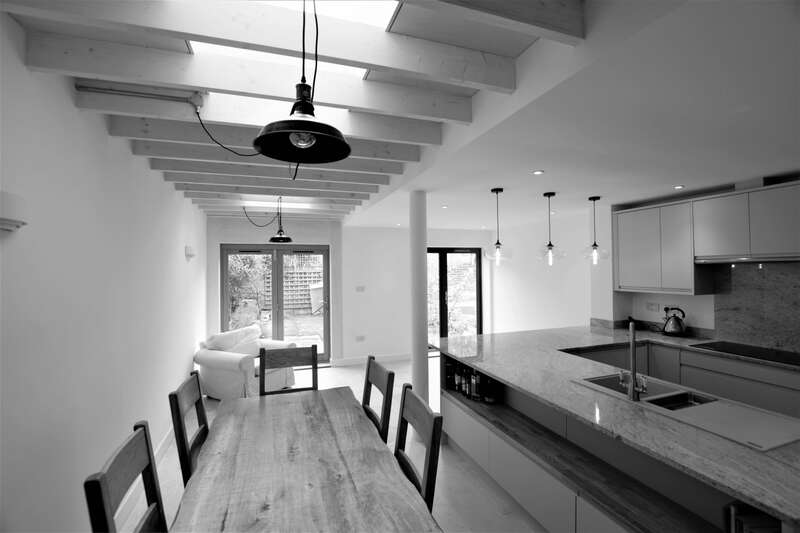 The design included a new open plan kitchen/diner and reconfiguration of the first floor accommodation. The client wanted a design with minimal carbon impact and maximum environmental benefits. 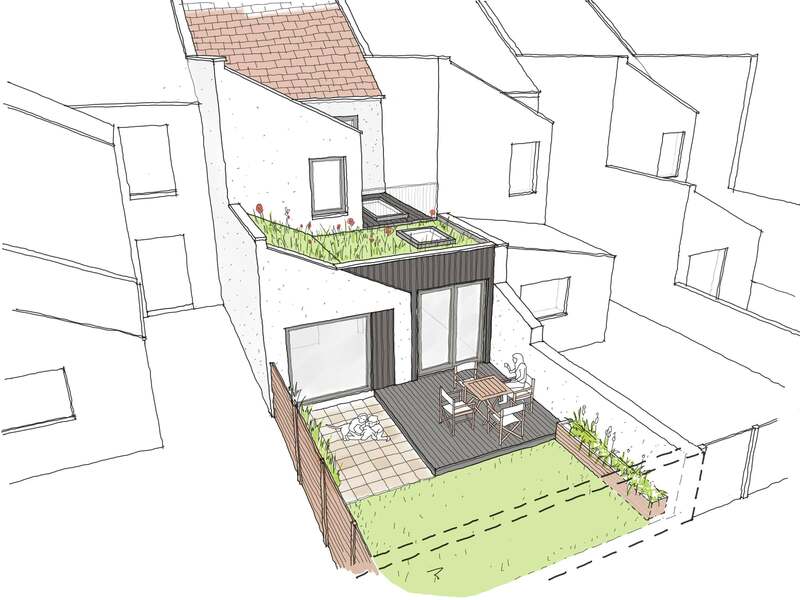 The final proposals included a green roof and extensive use of exposed structural timber. 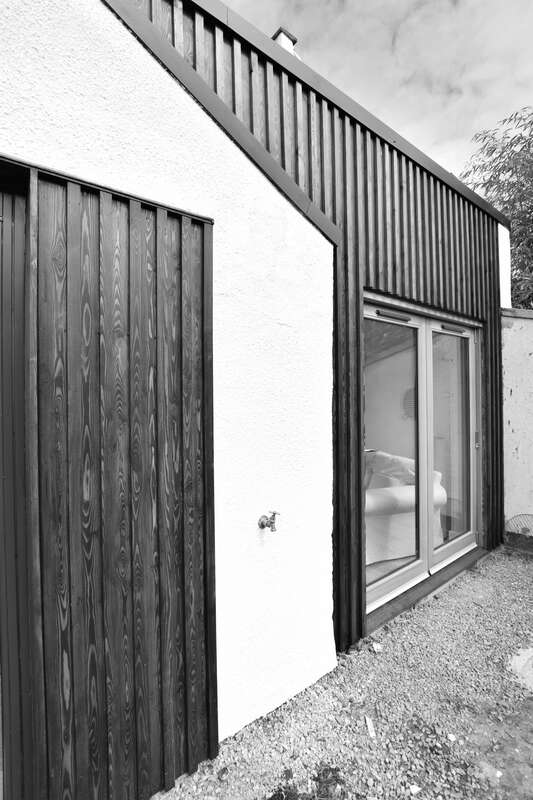 Black external timber cladding was used to articulate elements of the new structure.